Hey thanks guys, I'll get on that right now. Hey trucking truth, I'm brand new to the site as far as posting anything but I've been doing a lot of research with the help of this site for a month now. I just recently applied at a few trucking places (Prime, Swift) and I'm currently waiting on my pre hire letters so I can start school for my cdl and get on the road. My only question is how long was it after you applied that you got your pre hire letter. 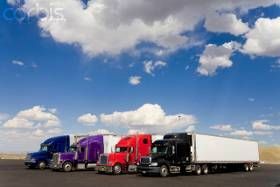 I'm anxious to get out there and start being a trucker.